Once a year, our Match Activities Committee mails packages of congratulatory letters and books to Littles graduating from elementary school, middle school and high school. 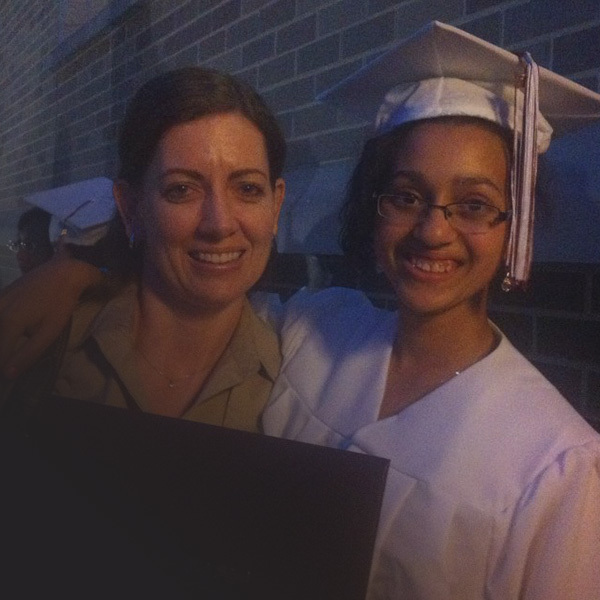 Little Sister Keisha recently graduated from high school and departed from our program after five years of mentoring. She emailed the agency this note of thanks after receiving her package in the mail. We are thrilled to report that Keisha was accepted to Neumann University and began the fall following her graduation. An excerpt from her letter is below. Thank you so much for making this experience with the program and [my Big Sister] Kelly so much fun. My story with Kelly, from the 7th grade to graduating high school, was a miracle. I had so much fun with her and she made me realize there is more than just being in the house and being on the computer. I found my true self in the world and that I was able to know myself better each day of the week. I was able to talk to Kelly about things I wasn’t sure of, I was worried or scared about, etc., and she would give me great advice. She would take me to amazing places that had a lesson with it, and I was always ready to learn something new. Kelly was the best Big Sister and I wouldn’t change that. Graduating high school was one of the greatest milestones in my life and my next one is completing college. Thank you so much for the book, Letters to a Young Sister, by Hill Harper. I will keep it and read it forever. I am glad you guys are proud of me for my accomplishments, and I am proud of them, too.